Steve Lawson from Mash bar in London and Gabriel Daun of Gekkors, Germany, were winners in the first heats of the International Noilly Prat Classic Dry Martini Challenge. Noilly Prat, the Bacardi-owned French vermouth, kicked off the inaugural International Noilly Prat Classic Dry Martini Challenge with some of the world’s best bartenders judged by leading drinks experts. In recognition of Noilly Prat’s rightful place in the history of this iconic cocktail, two of the four markets participating have already caused a stir at the brand’s home in Marseillan showcasing their individual take on the classic dry martini cocktail. With the winners from the DachNordic and UK markets having been selected, there will be fierce competition at the upcoming heats with the French and US markets in early 2015 to earn the all expenses paid trip to the Manhattan Cocktail Classic in New York in May 2015. What better setting to host the Noilly Prat classic dry martini cocktail challenge than at La Maison Noilly Prat, situated in the pretty French fishing village of Marseillan overlooking the Mediterranean Sea. The challenge begins with an exclusive tour of La Maison Noilly Prat where both competitors and judges are given the opportunity to discover how this vermouth is created. From the tasting of the wines from local grape varietals Picpoul and Clairette that are used in the creation of Noilly Prat Original Dry, to the discovery of the unique outdoor ageing process of L’Enclos and the time-honoured process used to blend the secret recipe of herbs and spices, the guests uncover over 200 years of history and heritage, which has made Noilly Prat world-renowned in the on-trade. Having been immersed into the long-standing craftsmanship of Louis Noilly’s original recipe, the bartenders were charged with the seemingly simple, but notoriously complex challenge of creating the world’s best tasting classic dry martini cocktail at Le Bar Noilly Prat. Participants were judged on the complete experience, from the serving ritual and storytelling through to the temperature, glassware and taste of the serve, which must use only three ingredients. The DachNordic bartender participants were: Yared Hagos - The Parlour (Germany); Gabriel Daun - Gekkors (Germany); Thomas Armbruster - Café de Paris (Denmark); René Hedeland Larsen - Ruby Bar (Denmark); Viktor Hägglund -Holmens Kanah (Denmark); Adam Jacobsen - Strøm Bar (Denmark; and Jimmie Hult - Tjoget (Sweden). The judges were: Mixology Magazin’s Nils Wrage (Germany); Drinks Magazin’s: Reinhard Pohorec (Austria); Ludovic Miazga - Noilly Prat Global Ambassador. The UK bartender participants – all from London bars this year – were: Lorenzo Antinori - The Beaufort Bar, The Savoy; Simone Rossi - Quo Vadis; Mike Foster - 69 Colebrooke Row; Steve Law – Mash; Joe Farr – Trailer Happiness; Ally Martin – The Peg and Patriot. The judges were: Drinks International’s Hamish Smith; The Drinks Report editor Felicity Murray; Sasha Filimonov, Square Meal; and Sandrae Lawrence of The Cocktail Lovers. 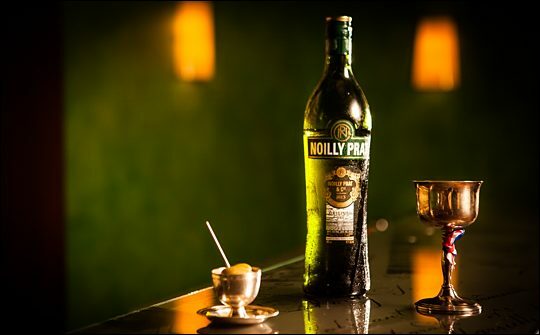 Noily Prat, one of the world’s finest French vermouths, is crafted in the South of France by the sea. Based on a secret recipe dating back to 1813, Noilly Prat Original Dry is created using around 20 herbs and spices sourced from around the world. The unique outdoor ageing process and the long-standing craftsmanship has ensured that the taste of Noilly Prat Original Dry has been preserved from generation to generation for over 200 years. Today the exceptional quality of Noilly Prat continues to be recognised by leading drinks experts around the world.